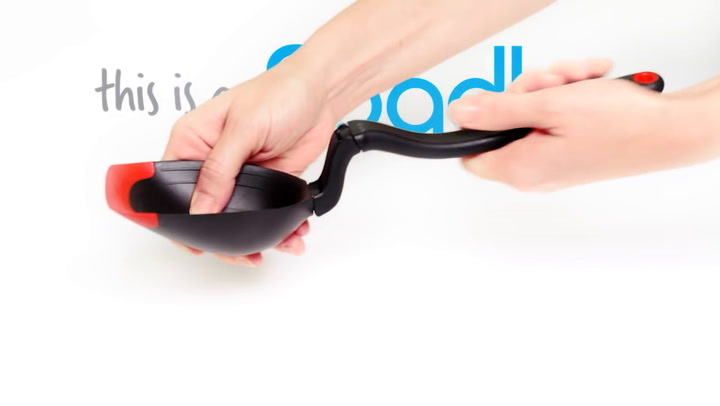 Spadle is the incredibly versatile spoon that twists into a ladle. As a large cooking spoon, it has all of the features of the best-selling Supoon – a flat squeegee tip to scrape your pan or bowl clean, a deep ½ cup scooping head, heaps of useful measuring lines, and a handle that acts as a built-in spoon rest. A simple twist of Spadle’s handle cleverly transforms it into a ladle perfect for serving soups or stews. View more from Novel and Unusual Gifts, Ladles, Spoons & Paddles, Dreamfarm. Makes serving from the Instant Pot easy, even scraping the last bit of gravy out. Rotate the handle and use the spoon to stir. Well thought out kitchen tool.